Samsung unveiled a new Android powered Superphone called Samsung Galaxy Note. With Galaxy Note, Company tried to bring the features of Smartphone and Tablet on the same device. The new Superphone from Samsung features a 5.3-inch 1280 x 800 Super AMOLED display, a 1.4 GHz Exynos processor, 8 and 2 megapixel rear and front facing cameras. 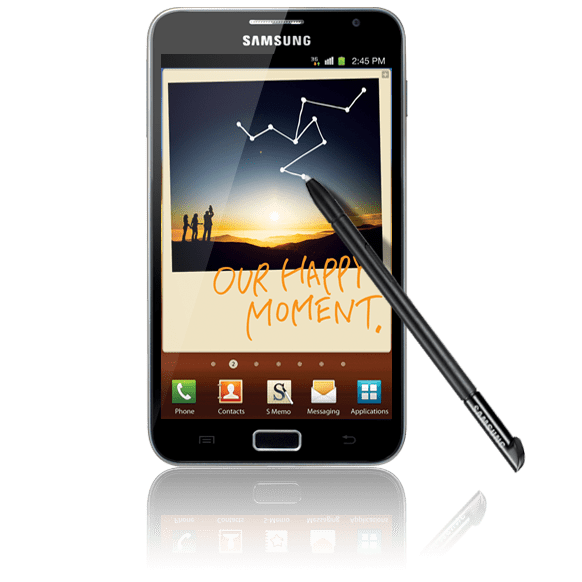 Samsung Galaxy Note will hit the US or European Market soon. I’m sure this phone will be very costly to your pocket so I suggest you to start saving the money.